The countdown for Christmas and New Year's is ON. 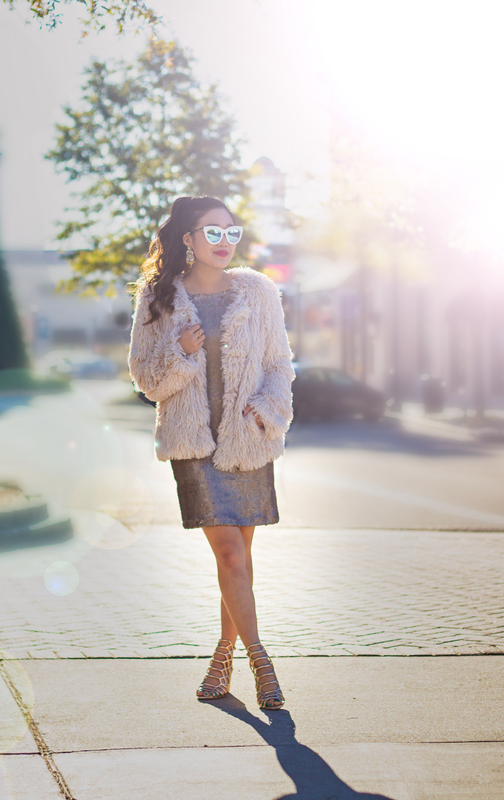 The holidays are now in full swing and everyone is cheery and cherishing the most wonderful time of the year. Well... let me rephrase that: not everyone. December may be the most favorable holiday month, but for some of us (ahem, college students), it means FINALS. It's a mix of I-want-to-die-from-stress and I'm-barely-hanging-on-but-wait-there's-that-one-Christmas-cocktail to I-quit! and then but-wait-I-need-to-graduate. Yeah. Been there, done that. I mean, we all knew in the beginning of the semester that it would happen eventually, but then we panic when we realize that we flew through Fall Break, Halloween, and oh, goodbye Thanksgiving, and before you know it... December happened. Don't you know? Time flies when your life is falling apart. That was a joke. Partially. Anyway, because I'm sure all of my fellow college students are dying right now as we head into the dreaded "hell," but I figured it would be a great idea to share 5 POSITIVE THOUGHTS during finals. 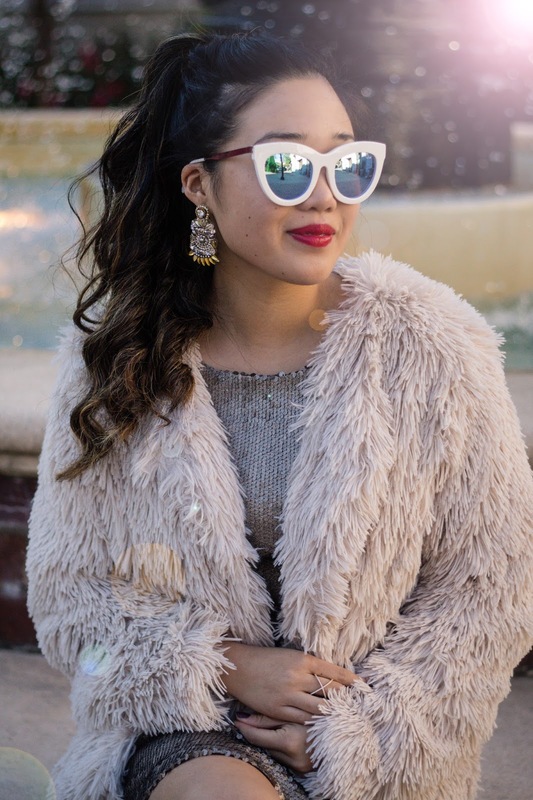 And if you're not in college and reading today's post, I hope you find some humor in my write-up and find today's holiday look more appealing. Ha ha. 1. In a couple of weeks, it'll be over soon. Exams are temporary. It isn't like your exam grade is going to follow you around for the rest of your life. It certainly will not be the end of the world. All that hard work and pressure you put into studying and researching is all part of the college experience. In other words, you knew what you were signing up for. And no worries, because when you're done with finals, you'll be back on break and D-O-N-E with those classes. ... until Spring classes roll around... but that's another blog post for another day. 2. Two words: CHRISTMAS BREAK. This one pretty much speaks for itself. I mean, no one said life was going to be easy. No one said college was going to be easy. Power through it because you get something rewarding from all of this. Are you going to be thinking about those finals when you're waking up early Christmas morning to open presents? You may or may not get the grade you want on your finals, but you will have Christmas Break. Things to look forward to... am I right? 3. A reason to celebrate. 4. People believe in you. I mean it. When you feel like you're the only one suffering, remind yourself that your family and friends believe in you. They know you can do it. And no matter what, they will still love you. You'll power through this. It's just one hardship on your path to success. I mean, every successful person has encountered hardships. You have people who care and know that you tried your best. You need to believe in yourself. Have a positive mindset even when you feel like quitting. Trust me when I say that I feel like quitting 99.9% of the time. That 1% pulls me through when I remind myself that I have people in my life that believe in me. 5. View it as a challenge. Change your mindset that finals isn't just a "problem" or something negative. View it as a challenge, opportunity, and especially, an experience. This type of experience will teach you how to deal with hardships later on in life and you'll remember your attitude towards it and how you handled it. 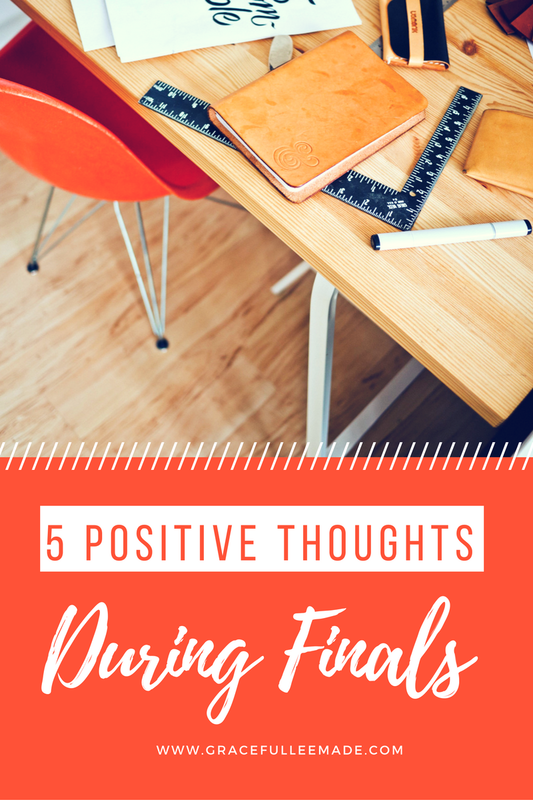 If you enjoyed these 5 Positive Thoughts During Finals, you can even pin the image (above) on Pinterest or bookmark this page to go back to it when needed. P.S. 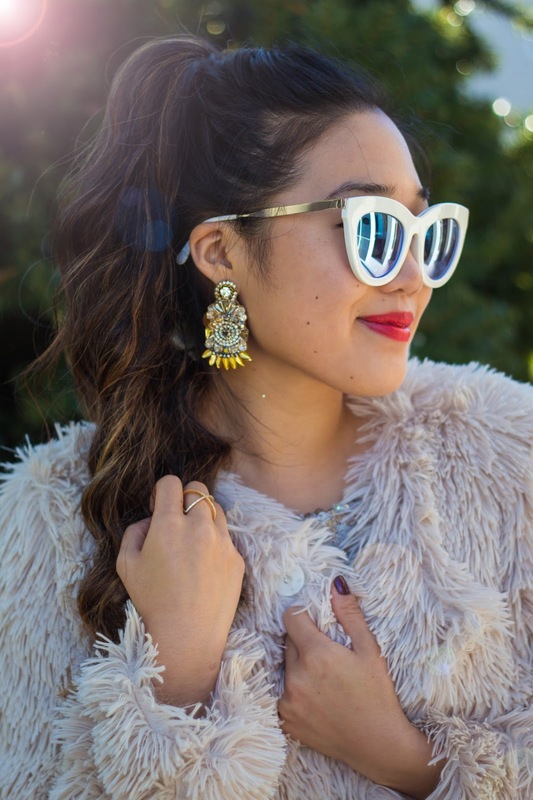 I'm a sucker for statement earrings. And one of the things I prioritize when shopping for statement earrings is the weight. Since I wear them so often, I don't like earrings that weigh me down. These, however, are not only beautiful but they're actually super light! You'd be surprised... These Charlotte's earrings are new in stock and very limited, so be sure to call the store or purchase them over in Cameron Village located in Raleigh, NC.